Can You Be Denied FMLA? Eligible employees are entitled to 12 weeks of leave for certain family and medical reasons under the Family and Medical Leave Act (“FMLA”). The FMLA is a federal law that provides certain eligible employees with up to 12 weeks of unpaid, job-protected leave per year. The FMLA does not guarantee paid time off. Rather, the Act only requires 12 weeks of unpaid leave. However, an employee can elect to use accrued paid leave, such as vacation or sick time, for some or all of the 12-week period. Any qualifying need arising out of the fact that the employee’s spouse, son, daughter or parent is a covered military member on covered active duty. Eligibility is not only based on satisfying one of the above family or medical reasons. An employer and employee are both subject to certain requirements in order to be eligible for FMLA coverage. The FMLA applies to all public agencies at the local, state and federal level, and includes all local education agencies. In addition, private sector employers with at least 50 employees are covered by the FMLA. To be considered a private sector employee, an employee must be employed for at least 20 workweeks in the current or previous year. Working for a covered employer is the first step of eligibility for an employee. Aside from being employed by a covered employer, an employee must have worked 1,250 hours during the 12 months preceding the requested leave. Any paid or unpaid leave during that time does not count as hours for purposes of FMLA eligibility. If an employee satisfies the hour requirement, he or she is one step closer to being eligible for coverage. The employee must also work at a location where the employer has at least 50 employees within a 75-mile radius. Finally, the employee must have worked for the employer for at least one year, although there is no requirement that the time be consecutive. While an eligible employee is entitled to FMLA coverage, this entitlement can be lost under certain circumstances. For example, you can lose FMLA coverage if you give clear notice you have no intention of returning to work after the 12-week period. Further, after an employee exhausts the 12 weeks of FMLA leave, the Act does not confer any more protection for that year. Therefore, if you are unable to return to work after the 12-week period, you no longer have FMLA leave job-protections. In certain circumstances, however, an employer may extend leave or guarantee the right to return to the job at a future date. This is not required under the FMLA. Although FMLA coverage includes job-protection, it does not apply to all employees. A “key employee” under the FMLA is defined as a salaried, eligible employee who is among the highest paid 10% of employees within 75 miles of the worksite. An employer is not required to keep your job open if you are a key employee. There are several factors that must be met before this can happen, though. First, an employer must show that job-protection would cause substantial economic harm to the company. Moreover, a “key employee” must be made aware of this status before FMLA leave is requested. While job restoration is not guaranteed, a key employee is entitled to the same health insurance coverage throughout the entire 12-week FMLA period. At the conclusion of the FMLA leave, all other employees have the right to full job restoration. Under the Act, an employer is required to return the employee to the same job he or she had before the leave. If the same job is not available, the employee must be placed in a job that is equivalent or identical. An equivalent job is one that offers the same work schedule, same pay and benefits, and substantially similar job responsibilities or duties. 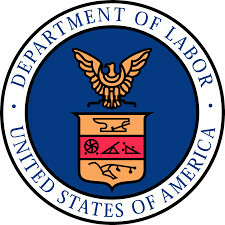 The Department of Labor (Wage and Hour Division) is responsible for the enforcement of the FMLA on employers. An employee who believes his or her rights under the FMLA have been violated may file a claim with the Wage and Hour Division or through a private lawsuit.